Sponsorship expert Abby Clemence explores how leveraging a corporate partner’s brand power can provide big opportunities for smaller Not for Profits and charities. In the urgency of needing to diversify income streams NOW, many not-for-profit organisations and charities make the mistake of offering a sponsor 'everything on a silver platter', without truly understanding the value of their appeal or offerings to a corporate partner. To the right sponsor, your organisation is a valuable marketing partner that provides a direct route to their target market. That’s why it is essential that you are correctly evaluating the most important asset you have –access to your supporter-base. Ideas abound when it comes to what to offer a corporate partner and how much you should charge them to access the most precious part of your organisation – the community of followers that you serve to exist. 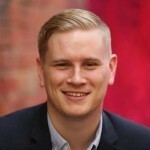 As a Not for Profit , your number one priority is to diversify your funding streams so that you can become more sustainable, but I invite you to consider that there are some situations when accepting a smaller financial investment initially might prove to be more advantageous to your organisation in the long run. New, small or little-known Not for Profits may need to accept a smaller investment initially, especially if they are approaching a well-known national or global company. This type of partnership may not generate great monetary returns to begin with, but it can be used to leverage brand equity, which is invaluable. What is brand equity? Well, in layman's terms it means the 'value' of your brand, in the eyes of consumers. Obviously for companies this is of vital importance. This isn't JUST relevant in the corporate world however, Not for Profits can create brand equity by making their brand memorable, easily recognisable and easy to relate to. Research shows, that as a Not for Profit, you are already blessed with positive brand equity, and companies that associate and support organisations like yours will also reap positive brand equity as a result. The point of all this is that whilst you may already enjoy some positive brand equity because of who you are and what your organisation does, how many more people 'out there' in the big wide world do not yet know you exist? Imagine the kind of increased support, membership subscriptions, donations, event attendance and social media exposure your NFP could enjoy, simply by being exposed to a larger audience and promoting the amazing work you do in the community? A case study in point, the Australian College of Midwives – a not-so-well-known, but truly worthwhile Not for Profit organisation – partnered with the global vitamin giant Swisse. Running for several years now, both Swisse and the College have found this partnership to be hugely beneficial. 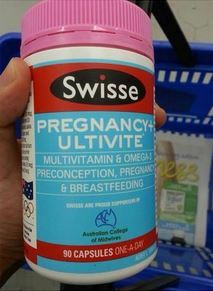 The Australian College of Midwives has allowed Swisse to communicate its message to their membership base and use their logo on Swisse’s Pregnancy+ Ultivite supplement as part of a sponsorship deal. By allowing Swisse to use their logo, the Australian College of Midwives has been given exposure to a massive audience through every Woolworths, Coles and pharmacy in Australia (not forgetting the massive exposure on the internet where people can purchase vitamins from a plethora of online stores) – an audience they never would have been able to reach on their own. Swisse’s powerful brand, marketing and distribution channels have significantly boosted the Australian College of Midwives' brand equity among women who may have never known they existed. Conversely, the College has added invaluable credibility, authority and influence to Swisse’s Pregnancy+ Ultivite supplement by providing a powerful point of difference with other pregnancy supplements in the marketplace. Sponsorship in the Not for Profit sector can be the cheapest form of marketing for a company – not because you undervalue your offerings (which is often the case!) but because you are able to give the right sponsor access to a target market they may not be fully doing business with yet. You can offer a sponsor highly targeted marketing opportunities, and whilst the cash investment is always the 'gold standard' when it comes to the kind of support you need, I invite you to consider the benefits of the power of exposure a sponsor can offer and what positive brand equity could do for your organisation. Making a sponsorship approach to companies and brands that are aligned with your supporter, donor, community or membership base can be a daunting prospect. The great news is that there are 'sure fire' things that you can do to maximise your success when seeking and engaging corporate partners!